Regular exposure to artificial ultraviolet B light for two weeks doubled rabbits' serum vitamin D levels, the researchers found. 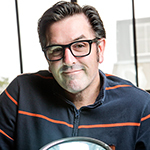 University of Illinois veterinary clinical medicine professor Mark Mitchell and his colleagues found that artificial UVB lights quickly boost vitamin D levels in rabbits housed indoors. The study found that regular exposure to artificial ultraviolet B light for two weeks doubled rabbits' serum vitamin D levels - an increase not seen in animals raised in artificial light lacking UVB radiation. Future studies will seek to determine optimal levels of UVB exposure and vitamin D levels in rabbits, guinea pigs, chinchillas and other animals. Most laboratory animals and many pet rabbits are not allowed outdoors because of the risks of exposure to predators and disease, Mitchell said. Windows block most UVB radiation. If the animals don't get sufficient vitamin D from their diet and are never exposed to ultraviolet light, they may become deficient, he said. To reach Mark Mitchell, email mmitch@illinois.edu. 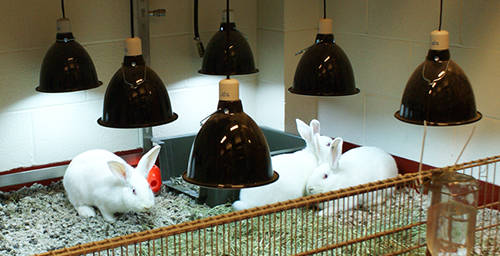 The paper, “Effects of Ultraviolet Radiation Produced From Artificial Lights on Serum 25-Hydroxyvitamin D Concentration in Captive Domestic Rabbits (Oryctolagus cuniculi),” is available online.